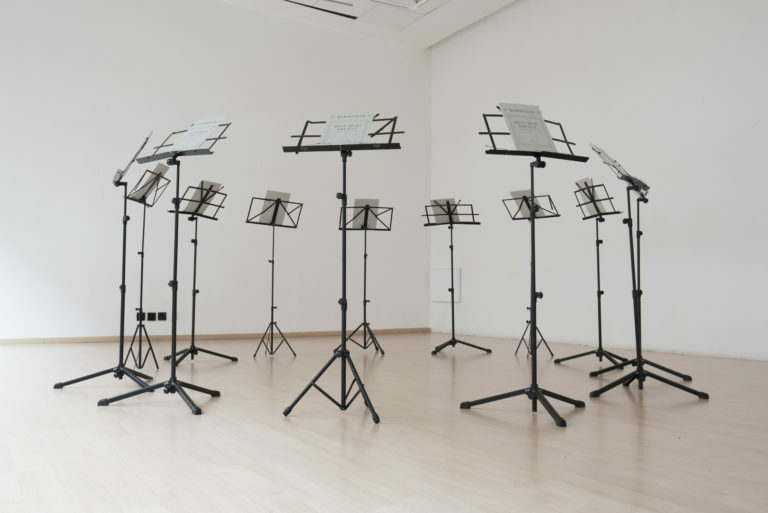 This work consists of 13 books of sheet music, which are variations on a song by the German band Rammstein: Mein Herz Brennt. These books are between 2 and 40 pages long and include instructions for performances lasting between 3 and 48 minutes. In July 2014, after a period of listening to this song on loop, I decided that I wanted to play it on the piano. I had studied music, although not piano, thus I could more or less read the score. I was more interested in the process than in the result and enjoyed the feeling of working with a tool that I was familiar with, but didn’t master. I gave myself a rule: to practise whenever I really wanted to and for as long as I really wanted to. This was very important for me, as I had always taken a very disciplined approach to music when I had lessons at music school. I recorded all my practice session as mp3 audio files. As I played, I would often make mistakes and would practise octave jumps for minutes on end, hypnotised by the sounds. Although I didn’t exactly stick to the sheet music in front of me, the sound produced seemed very special to me; I could play it again and it wasn’t a mistake, or rather, it was a mistake but couldn’t be considered a failure. These 13 scores are a literal transcription of my practice sessions (and mistakes) between July and October 2014.